What is a VPN connection, what does it do, and how do you set one up? We explain what a VPN is and why you might want to use one. We'll talk you through how to set up a VPN and show you the best VPN providers to use. You may have heard the term VPN used more and more frequently in recent years. VPN stands for Virtual Private Network, a VPN serves several purposes, including making online activities more secure. For that reason alone, we recommend that everyone use a VPN. Aside from improved security, a VPN has other benefits too, including enabling users to unblock geo-restricted content and circumvent government censorship. If you want to find out more about VPNs, you’ve come to the right place. We continuously review and test the best VPNs on the market (and some not-so-great ones, too), so we can tell you everything you need to know. In this post, we’ll delve into more detail about what VPNs are, how they work and what you can do with one. 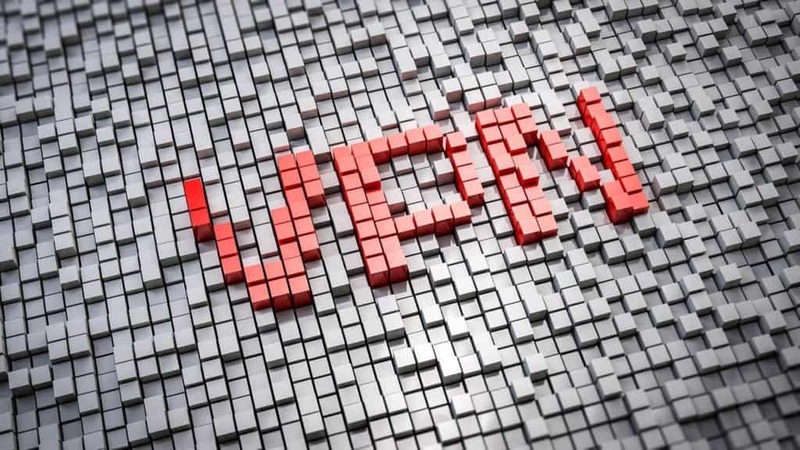 We’ll also provide some pointers for choosing the right VPN service, and tell you about some of the top-rated VPN providers. Let’s jump in! All traffic going to and from the connected device is encrypted. The encrypted traffic goes through an intermediary server, the location of which is chosen by the user. Let’s look at both of these features separately and explain the benefits. Having all your traffic encrypted means that your online activity can’t be monitored and all of your information is secure. Anyone intercepting your traffic won’t be able to decipher it. Without a VPN, your Internet Service Provider (ISP) can see everything you do online, including the sites you visit, applications you use, and files you download. They can’t do this when you’re using a VPN. This also means that others who may be monitoring the network can’t see your activity. This could be a network administrator (for example, in a school or office), a government agency, or a hacker. The lattermost might be a particular threat if you tend to travel a lot and frequent public wifi hotspots. Hackers are known to lie in wait on unsecured networks waiting to steal your information. To stay safe, you should use a VPN every time you connect to an open wifi network. With a VPN, you can carry out your normal online activities without worrying about prying eyes. This includes browsing, streaming, torrenting, gaming—anything you do that involves an internet connection. Many businesses use VPNs as a means of securing communications and processes, ensuring sensitive information isn’t leaked and reducing vulnerability to hackers. You might be wondering if a VPN is legal. Indeed, it’s perfectly legal to use VPN in almost every country. So what about the intermediary server part? Well, this is where things get fun. Every piece of hardware within a network has a unique identifier called an Internet Protocol address (IP address). This is assigned by your ISP and can reveal your general location to the websites you visit. We mentioned earlier that VPN users can choose the location of the server they connect to. All providers allow you to select a server based on the country where it’s located. Some providers let you get more specific and give you the option to choose the location according to city. Either way, once you’re connected, your existing IP address will be completely masked and replaced with one from the location you’ve chosen. IP addresses are used by websites to detect your device’s location. Many sites block access to content based on IP addresses alone. So if you’re able to replace your IP address, you spoof your location, making it appear you’re somewhere you’re not. You can enjoy your desired content simply by connecting to a VPN server in the region where the streaming source allows access. A VPN enables you to access sites that might be blocked in your country. For example, some countries block Facebook, Google, YouTube, Skype, WhatsApp, and more. When you access these sites through a VPN, your traffic is tunneled through the intermediary VPN server. Since the VPN server isn’t on the censored list, then the traffic won’t be blocked, and you can access the otherwise censored content without issue. Most VPN providers use shared IP addresses. This means that when you’re assigned an IP address, other users will use the same one. This makes it virtually impossible to track activities like torrenting to a single user. Because the traffic is encrypted, snoopers such as your ISP won’t be able to see what is being downloaded anyway. On the other hand, if the snooper is connected to the torrenting network, they’ll be able to see what’s being downloaded, as is the case with copyright trolls. However, with the VPN connection, they won’t be able to see who you are. Choose a reputable provider that’s able to meet your needs. We recommend ExpressVPN. Sign up for a trial or paid plan. This is usually through the provider’s website but some enable you to sign up through the relevant app (common for mobile devices). Note your VPN credentials, often provided via email. Download and install the relevant app for your operating system. Most of the top providers have desktop clients for Windows and MacOS as well as mobile apps for Android and iOS. Some can be manually configured with other operating systems and devices. Launch the app and sign in using your credentials. Adjust settings and preferences if needed. Select a server location and wait for the app to confirm a connection. Use the internet and any other applications as you would normally. If you have any issues with any of these steps, you can contact your VPN provider’s customer support team to help out. One of the biggest reasons people employ a VPN is to access geo-restricted sites like Netflix, Hulu , BBC iPlayer, and more. Many of these websites crack down on VPN usage. They devote resources to finding out which IP addresses come from VPNs and actively block them. This means that even if you’re connected to a VPN server within the country you’re actually in, you could still end up seeing a proxy error. Thankfully, some VPN providers are able to stay a step ahead and users can still enjoy access to this content. But because this takes up resources, not all providers are still in the game. If access to restricted content is a priority for you, you’ll need to ensure your chosen provider makes this a priority. Because traffic is routed through an intermediary server, using a VPN will make your internet speed slightly slower. Some VPN services have a much larger impact on speeds than others. Sometimes it’s enough to have a noticeable effect on browsing, while in other cases, the effect is only felt when doing things like downloading or uploading large files. When we review VPN services, we pay close attention to speeds and factor them into our ranking. We regularly test the top VPNs for speed performance and you can view up-to-date results in the chart below. Practicality aside, you need to know that your data is secure. This means you should expect a VPN service to provide strong encryption. 128-bit and 256-bit AES encryption are commonly used and are considered very secure. In your research, you’ll no doubt also come across mention of protocols. This is the format in which the VPN transmits data. Different protocols provide varying levels of security and speed. We usually recommend the OpenVPN protocol which is open source and subject to public audit. Other popular protocols include L2TP/IPSec, SSTP, IKEv2, and PPTP. The lattermost is the least secure and should only be considered as a last resort. DNS leak protection: Prevent DNS requests from being sent outside of the encrypted VPN tunnel. A kill switch: Kills the internet connection if the VPN connection drops. Automatic wifi protection: Starts the VPN connection every time you connect to a wifi hotspot. Anti-DDoS servers: Specialized servers to protect against DDoS attacks. Some of NordVPN’s server locations are marked as having anti-DDoS capability. The most crucial additional security features are DNS leak protection and a kill switch, but others may be important for your specific needs. Most providers keep logs of some kind, but there are different kinds of logs to consider. First, you have traffic logs which include things like the websites you visit and files you download. No respectable VPN provider should be keeping traffic logs of any kind. Claims such as “no logs” or “zero logging” usually refer to these types of logs. On the other hand, many providers do keep connection logs. These are usually in the form of metadata, such as bandwidth used and connection times and duration. If kept, these are often used for things like troubleshooting or ensuring users don’t go over data caps. The key is you don’t want your provider to record any personally identifiable information, including your IP address. If you want to stay even more anonymous online, then you might look for a VPN that requires as few details as possible upon signup. Many providers give the option to pay using bitcoin or other cryptocurrencies, and some have a .onion version of their site so you can access it through the Tor browser. For example, ExpressVPN accepts bitcoin and has a .onion site, so if you use a burner email address, you could sign up almost anonymously (nothing is ever completely anonymous). You’ll need to ensure the VPN has apps for all your devices. While manual configuration is often possible, it’s always nicer to have a user-friendly app. Windows, MacOS, iOS, and Android are commonly covered, but some providers are missing apps for one or more of these. If you’re a Linux user, not many providers make a dedicated app, although plenty will offer support for the OS. And if you’re looking to protect your traffic at the router level, then most VPNs can help there, too. Many can be configured with certain routers and some even sell routers already configured with the VPN. In fact, ExpressVPN makes its own router firmware. As with most things you shop for, you’re going to want value for money from your chosen VPN. We’ll talk about the dangers of free VPNs later, but there is a wide range of prices when it comes to paid options. You’ll want to take all of the items in this list into consideration when thinking about value for money, but there are a few more factors. One is the number of simultaneous connections offered. Ideally, you’ll want to protect all your devices under one plan, so you don’t have to pay for another. The industry standard is five simultaneous connections, but some offer fewer while others offer more. Another important factor is whether or not there’s a bandwidth cap. Keenow’s free plan has a cap of 512MB per day. While this might not matter much for general browsing, it could limit streaming and torrenting ability. Most paid VPNs offer unlimited bandwidth but some have lower tier packages that cap it. When using a VPN, chances are you’ll need help at some point. Whether you’re having trouble with setup or can’t access your desired content, customer support might be required. 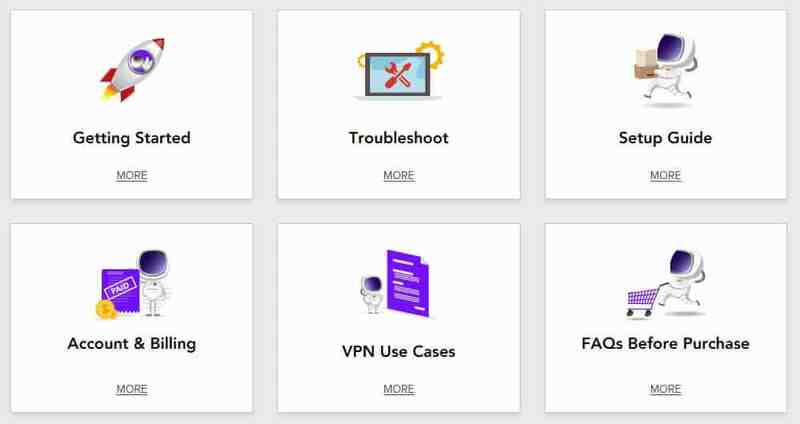 Most VPN providers offer online support sections with things like setup guides, troubleshooting tips, and FAQ answers. PureVPN offers a pretty comprehensive support center. Most also offer the option to submit a ticket via email if you need real human help. This is great, but responses can take anywhere from hours to days, even weeks in some cases. This isn’t ideal if you need a quick fix. Thankfully, many providers offer live chat customer support so you can get on-the-spot help. This type of service is usually outsourced so may not be ideal for privacy-conscious users. This also means you may not get the most knowledgeable response, and you might be asked to submit a ticket for more technical issues. Nonetheless, 24/7 live chat is always a nice bonus and something to look out for. Let’s look at these in a bit more detail, so you know what to expect. This VPN provider is a top-notch all-rounder. Its server network spans 94 countries giving you a huge choice of locations. ExpressVPN uses strong encryption and has additional security features such as a kill switch. It has fast speeds and is capable of unlocking popular streaming services. Three simultaneous connections are allowed and apps are available for major operating systems, including Linux. OUR TOP RATED VPN :ExpressVPN is our #1 Choice. A blazing fast and reliable service. Great at unblocking all major geo-restricted streaming services and restricted or censored content. Top privacy and security features and keeps no logs. Try it risk-free with the 30-day money back guarantee. See our in-depth review of ExpressVPN. NordVPN is another solid option and has a huge network of more than 5,000 servers. Many of these are specialized for things like streaming, double VPN, Tor over VPN and anti-DDoS. This VPN service has your back when it comes to security and privacy. It keeps no logs and has built-in automatic wifi protection. Apps can be downloaded for Windows, MacOS, iOS, and Android and six devices can be covered at a given time. BEST BUDGET VPN:NordVPN is a good value choice. A great value option which works reliably with streaming. Connects up to 6 devices simultaneously. 30-day money back guarantee. CyberGhost operates a growing network and combines strong security with fast speeds, making it another solid all-rounder. If you like to stream, you can simply select your streaming source from within the CyberGhost client and it will automatically connect you to the appropriate server. This low-cost provider keeps no logs, so your data stays safe. It allows five connections at a time and has apps for desktop and mobile devices. GREAT FOR STREAMING:CyberGhost provides access to lots of geo-restricted content and its easy-to-use apps are ideal for beginners. Solid privacy and security. Won’t unblock as many popular streaming sites as some of its rivals. Plans come with a 45-day money-back guarantee. See our full CyberGhost review. IPVanish is a very popular VPN service for Kodi users and torrenters, but it’s great for streaming, too. It has blazing fast speeds and recently upped its number of simultaneous connections to ten per plan. Security-conscious users will be happy with strong encryption and additional features, such as a kill switch. Apps are available for the most popular operating systems. Check out our IPVanish review. A newer and smaller provider than many of its competitors, PrivateVPN has plenty to offer. It is known for its fast speeds and ability to unblock many popular streaming sites. Plus it’s secure and won’t log your data. With decent prices, six simultaneous connections, and apps for all the major operating systems, it’s definitely worth a second look. GOOD SPEEDS:PrivateVPN is a good family choice. Generally good for HD Streaming. Allows up to 6 devices on the same account. Good privacy and security features. Could do with having more servers and lacks 24/7 support. 30-day money back guarantee. Read our in-depth PrivateVPN review. Once you start researching the various VPN services available, you’ll no doubt come across a ton of free offerings. Obviously paying nothing for this type of service sounds very attractive. But there are some things you should know about free services before you start running their applications. On the security and privacy side of things, free VPNs can actually do more harm than good. Just because these businesses don’t charge you directly, this doesn’t mean they’re not profiting off you somehow. Many track user activity and even build profiles to sell to advertisers. Others exaggerate how secure they are and some VPN apps even carry malware. Of course, security and privacy are of utmost importance, but there are issues with the practical side of free VPNs too. We mentioned selling your profile to advertisers. Well, some services simply inject ads and cookies into the sites you visit while browsing or place them within the VPN client themselves. But there’s more. Free VPN services typically have a very high number of users, all of whom are sharing a small number of servers with limited capacity. This leads to queueing systems with potentially long wait times. And once you do get connected, chances are you’ll experience a slow, unreliable connection and won’t be able to access the sites you want. Given all of these different factors, we generally recommend steering clear of free VPN services unless you’re really in a pinch. What about using a proxy? If you’re primarily looking to stream content, you might have come across DNS proxy providers that claim to be up to the job. However, it’s very easy for Netflix to block these services. Indeed, with its crackdown on the use of a proxy to access its services, you may not have much luck. What’s more, DNS proxies are a bit like free VPNs in that they typically don’t have a very large selection of locations. One proxy that doesn’t have this issue and works reliably with streaming services is the ExpressVPN MediaStreamer DNS service. This comes with every subscription and can be used with the VPN service or separately. The major difference between a VPN and a DNS proxy is encryption. The latter does not encrypt your traffic, so your activity is exposed. This means an ISP, network administrator, hacker, or any other snooper can see what you’re doing online. One more thing to note about these services is that they often use similar tactics to free VPNs, including selling your information, injecting ads, and other shady business practices. Image credit: “VPN” by Gino Crescoli licensed under CC BY 2.0. 1 What is a VPN connection and how does it work? 16 What about using a proxy? 11 What about using a proxy?